Are You Eligible for a Back Injury Settlement? A significant back injury can be so incapacitating that you aren’t able to perform normal daily activities. Acute and sometimes crippling pain is a common warning sign of a herniated disc, a damaged ligament, or a muscle strain. Back injuries affect more than one million Americans each year and account for nearly a quarter of all occupational injuries. Traumatic events and accidental falls can cause severe damage to the muscles, vertebra, ligaments and tendons in the back, leaving victims bedridden for weeks, unable to work or even sleep comfortably. Every day, people suffer serious lowerback injury in preventable accidents, which carry profound consequences for one’s health, mobility and quality of life. No one ever anticipates being hurt in an accident, and while it may feel like there’s no escape from your pain and suffering, our back injury lawyers are here to advocate on your behalf and fight for fair compensation. By partnering with The Bart Bernard Injury Lawyers, you can find comfort knowing that our expertise has helped recover millions of dollars for clients. Our attorneys are well-versed in back injury claims stemming from car accidents, unsafe work environments and dangerous conditions, and will determine the most efficient path for securing fair money damages. If your back injury was caused by another party’s negligence, inattention or wrongdoing, we invite you to reach out to our Lafayette or Baton Rouge offices to schedule a free case review. If you injured your back in a motor vehicle accident, while lifting objects at work, or in a slip and fall, it’s crucial to seek the care of a healthcare professional as soon as possible. Leaving a problem undiagnosed for too long can significantly increase back injury recovery time and the odds of needing more invasive treatment. Symptoms of a back injury can vary greatly and may include numbness or tingling in the extremities, dull aches, or a sharp stabbing pain that radiates outward. Back injuries are oftentimes debilitating in nature, hampering one’s range of motion, ability to stand upright or perform the simplest of tasks. A slipped disc or fractured vertebra can keep you off the job for months, but an experienced back injury lawyer like Bart Bernard can help you move through this difficult time and obtain the compensation you rightfully deserve. Back injury treatments may encompass a combination of anti-inflammatory and pain medications, massage therapy, chiropractic adjustments, epidural injections, as well as physical therapy. In more serious cases, surgery may be required to repair structural damage to the discs or vertebrae, or relieve nerve compression. These treatments and procedures can get very expensive, making an already stressful time even more challenging for those who are physically unable to work and earn a living. 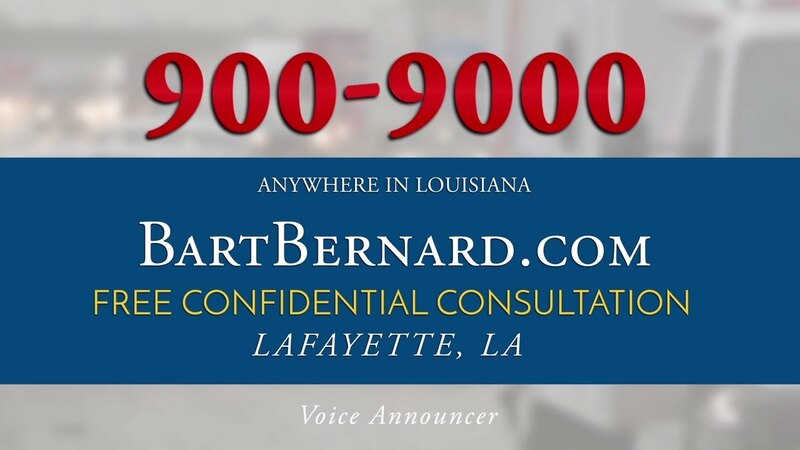 Bart Bernard understands the far-reaching repercussions of back injuries and works with medical experts, life care planners and vocational rehabilitation specialists to accurately assess the true value of your claim. Having competent legal counsel on your side helps increase the odds of a successful claim, and getting the reparations needed to cover the costs of medication, chiropractic treatments, doctor’s visits and other medical care expenses. How much is my back injury worth? Back injury compensation will depend upon a variety of factors including the nature and severity of the injury, the medical costs sustained, and if the victim will suffer lasting consequences that diminish their ability to work, perform ordinary tasks or otherwise reduce their quality of life. Back injury settlements will account for economic damages including medical expenses, out-of-pocket costs, lost wages and future earnings, in addition to the pain and emotional suffering that you have endured. Following a thorough consultation and investigation into the circumstances of your accident, your attorney will be able to discuss the potential value of your claim, and the best strategies for securing a fair settlement or jury verdict. Why choose The Bart Bernard Injury Lawyers to handle your back injury claim? If you suffered a back injury through no fault of your own, you deserve to be compensated for your losses, pain and suffering—both past and future. Attorney Bart Bernard is prepared to advocate on your behalf, protecting your best interests every step of the way. Our legal team offers complimentary consultations and is available 24/7 to review your case.